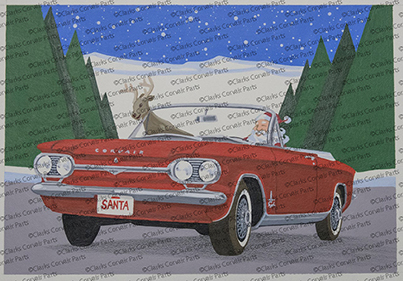 Cards A & C have the inscription inside “Oh what fun it is to ride!” “Happy Holidays” card B “over the river and through the woods” “Happy Holidays” . Each part number gives you 12 cards (7 x 5) with 12 white envelopes. Bucket Seat Trim - Beautiful chrome repros for 60-66 bucket seats. Replace those pitted, scratched or dented trim pieces. Fit outside of right and left bucket seats. Sold as a pair. These will not fit the inside of seats. These qualify for the interior discount. 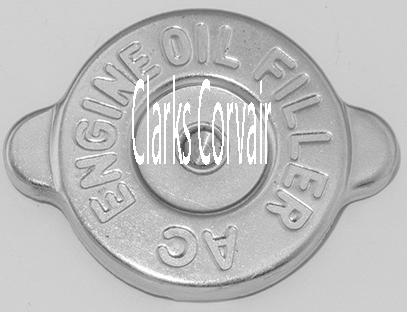 Oil Filler Cap - Nice zinc plated oil cap for all Corvairs. Not an exact repro. 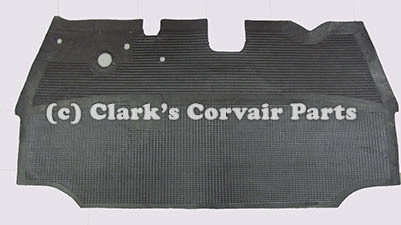 1960-64 Rocker Panel Drain Flap - Exact Repro. Goes on the rear end of the rocker panel to cover drain hole. 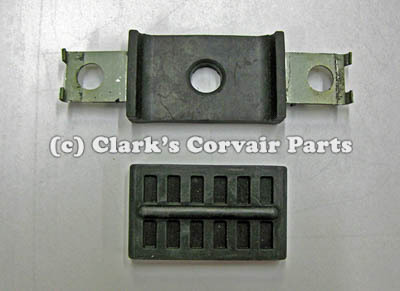 65-69 Coupe and convertible 1/4 window trim pieces are now in stock. 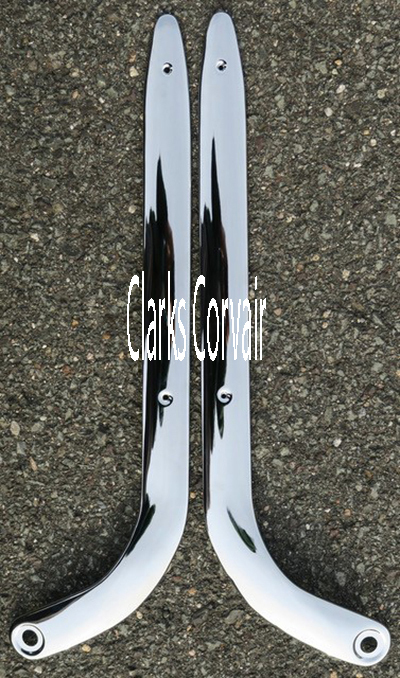 These are excellent repro of the chrome trim piece on the front edge of the 1/4 windows, sold in pairs only. 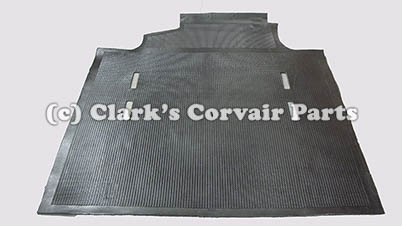 New deluxe grain FC mats in stock for front and engine cover areas. Red, turquoise,fawn, and green are the available colors. We now have these replacement fuse boxes in stock, just be sure your harness is still in good shape and you can replace the old corroded box and upgrade with this modern replacement style made to fit your exact year and style. All new stock steering boxes now in stock, no core needed, these are not fast ratio, looks slightly different than originals. 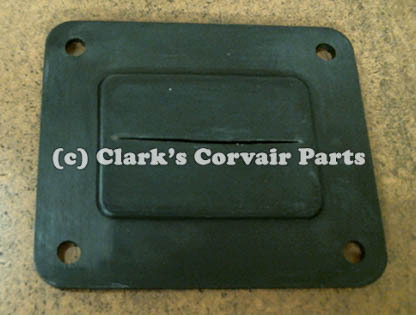 We now have NEW repro bumpers in stock. The chrome on these is equal to our rechromed bumpers and better than NOS. No need to send your core. Nice covers at a great price. These come in a black fleece for inside storage or a silver UV cover for outside storage is water resistant, both are breathable. New repro chrome dipsticks in stock, these are a cross between the early and late turbo style dipsticks, will fit all years except FC and wagons. We are now stocking the Vairtrix cylinder head temperature sensors. 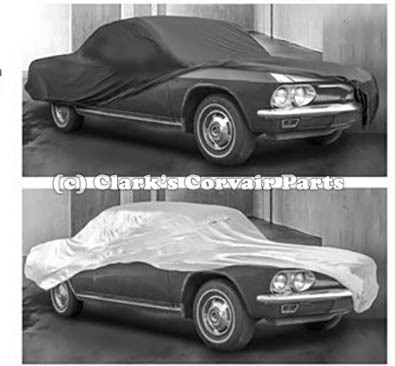 The 62-64 spyder uses C1717 and the 65-66 corsa uses C1718. 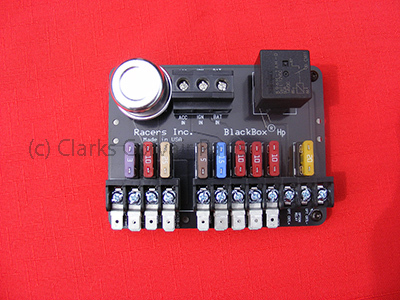 These replace your thermistor at a lower cost and get your temperature gauge working again. 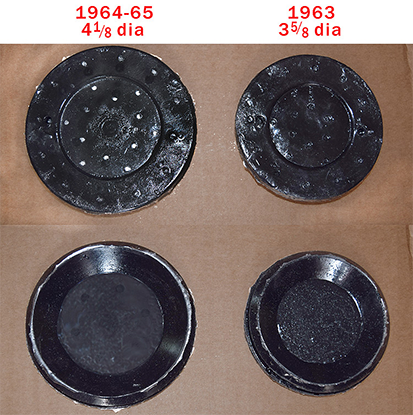 New repro of FC master cylinder floor hole covers. Early headlight bezels are back in stock, order yours now. We have recently reproduced the turbo pressure retard units as well as the combination advance/retard unit that many people like to use. Plus we reproduced a couple of the vacuum advances. The 65-67 Plastic windshield pillar trims are now in stock, we have coupe and 4 door trims as well as the convertible trims in stock. New repro front directional housings for 65-69 cars. We have just received the new motor mounts for the early model cars, no need to send cores any more with these new mounts, these are not rebuilds, these are entirely new mounts. FC gas tanks now in stock, excellent repro of the stock FC tanks. Since Dale Mfg is now only rebuilding harmonic balancers we want to clarify some parts & photos in our Clark catalogs that are no longer from Dale Mfg. main cat pg 79- distributors are no long by Dale main cat pg 109- the info & photo about rebuilding flywheels were by Dale but he is no longer doing this. Full Fin like the 1960 style for greater cooling & strength. 2. Walls .030 Thicker than stock & Evenly Cast for more consistent cooling & strength. 3. Available in Standard Bore as well as +20, +30, +40, & +60. See 2007-2012 Main Catalog pgs. 23B & 23C. 4. Available Separately or in Cylinder, Piston, Ring Kits. 60-64 and 61-65 FC AXLE BEARINGS ARE NOW IN STOCK. FINALLY A REASONABLY PRICED BEARING. 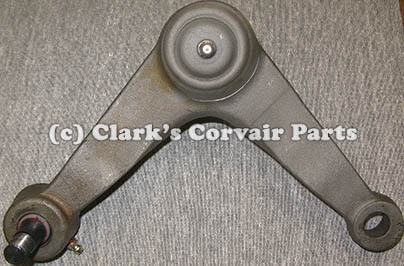 65-66 REPRO LOWER FRONT DOOR HINGES NOW IN STOCK, REPLACE YOUR WORN OUT HINGES. OUR FULL AIR CONDITIONING CATALOG IS NOW AVAILABLE ON LINE AS WELL AS YOU CAN ORDER YOUR HARDCOPY. 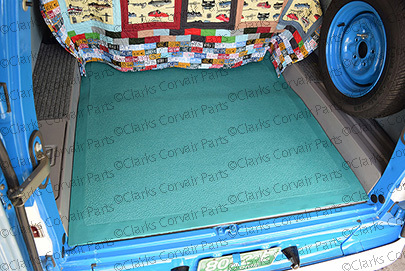 WE HAVE COMPLETE SYSTEMS READY TO INSTALL IN YOUR CORVAIR. WE ALSO HAVE PARTS TO REPAIR AND REPLACE YOUR EXISTING SYSTEM AND UPGRADE TO THE R134 REFRIGERANT. 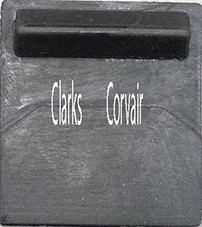 ANOTHER CLARKS CORVAIR PARTS REPRODUCTION IS NOW AVAILABLE. 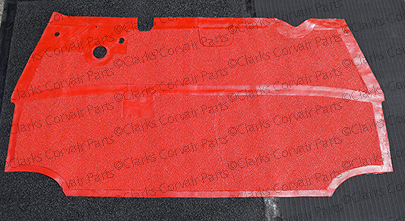 MOLDED FIBERGLASS INSULATION FOR 65-69 ENGINE LID AND REAR FENDERS IS NOW AVAILABLE. MUST ORDER "BODY BY FISHER" EMBLEMS SOLD SEPARATE-NOT INCLUDEDED WITH NEW DOOR SILLS. 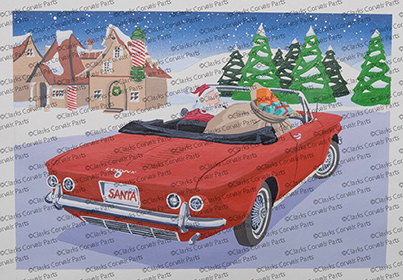 NEWS FLASH Bob Helt recently did an article in the May issue of the "Corsa Communique". Bob disected our new filter and determined in his words, " So for the Clarks filter to be equal, if not superior, to the Wix, is a significant accomplishment." Our low price on this filter makes it the clear choice for a superior oil filter for your Corvair. 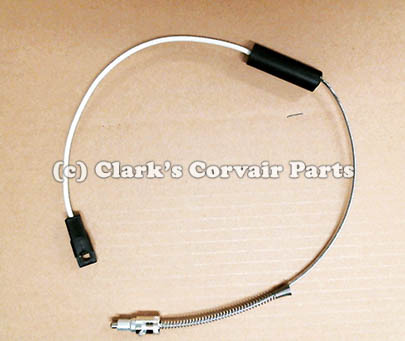 C50RM THERMOSTAT BELLOWS MADE IN USA NOW IN STOCK . View Catalog Updates. ORDER YOUR GIFT CERTIFICATES NOW!! View Catalog Updates. MACHINED STEEL POSITRACTION SIDE COVERS, WHERE CLUTCH PACK FITS INTO, NOW IN STOCK, C9868 SEE PAGE OTTO-27. PG MODULATORS ARE BACK IN STOCK PART # C876 ORIGINAL STYLE. 1960-64 TRUNK LOCKS BACK IN STOCK C4923 1965 TRUNK LOCKS BACK IN STOCK C2437a BOTH OF THESE ARE VERY HARD TO FIND, GET YOURS NOW! 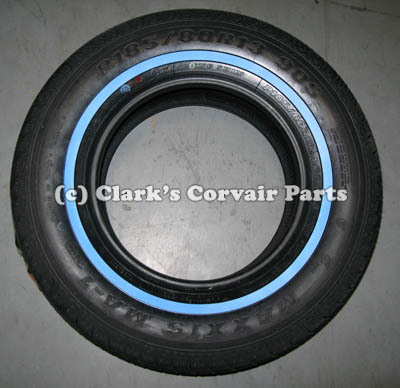 LATE MODEL WHEEL TRIM NOW IN STOCK, WE RATE THESE A B+ TO AN A- WHEN INSTALLED. ORDER C296A FOR THE FULL SET FOR 66-69. A SEAL COMPANY HAS OFFERED US THE "NEW" CRANKSEALS THAT ARE ON THE MARKET- ALTHOUGH THEY ARE PRICED LESS- THEY TOLD US THAT THEY ARE MADE FROM NITRILE. OURS ARE MADE FROM POLYACRYLATE (AS SPECIFIED BY MAJOR USA SEAL MANUFACTURERS). POLYACRYLATE SEALS ARE MORE EXPENSIVE, HAVE A HIGHER TEMPERATURE RATING AND BETTER OIL RESISTANCE. WE ALSO NOW HAVE VITON CRANKSHAFT SEALS. 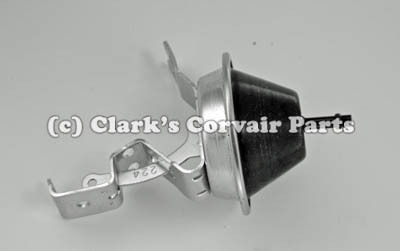 AS ALWAYS FOR THE BEST SEALS POSSIBLE, BUY FROM CLARKS CORVAIR PARTS INC.
ANOTHER CLARK EXCLUSIVE, C632R, C638 & C638A FRONT AND REAR SUSPENSION ADJUSTING BOLTS FOR 65-69 NOW COME WITH THE CORRECT LENGTH NUT, 5/8" LONG. WE WERE SUPPLYING 7/16" LONG. NEW 5/8" LONG NUT IS PART # C4602R. PREBENT BRAKE AND GASLINE KITS ARE NOW IN STOCK. ALL NEW SUPERIOR CLARK PISTONS ARE NOW IN STOCK!!! PREMIUM CAST, HI-TECH PERFORMANCE, AND HYPEREUTECTIC PISTONS, THESE ARE THE BEST QUALITY PISTONS THAT WE HAVE SEEN, BUT THAT IS WHAT YOU EXPECT WHEN YOU BUY FROM CLARKS. Our Web Site has several new features, and many almost-new features! In late 1999, we added a number of the most-used pages from the Technical Information section of our Printed Catalog to our Web Site. We also added a bunch of new products to our product lines, and enhanced our online ordering services to include more information about our offerings. In 2013 all of these pages in our catalogs are now online for you to look at and order from online. 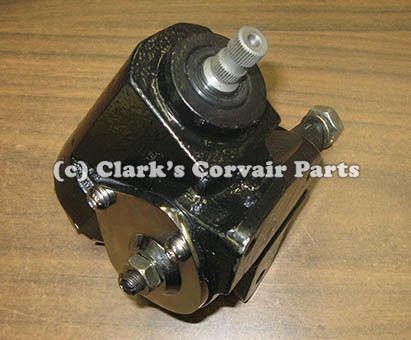 We regularly update our Parts We are Buying listing and have added the list to our Web Site. 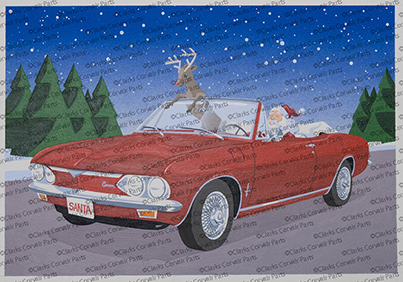 Each month, there are some new cars for sale on our "Corvairs For Sale" page, sent in from all around the country.